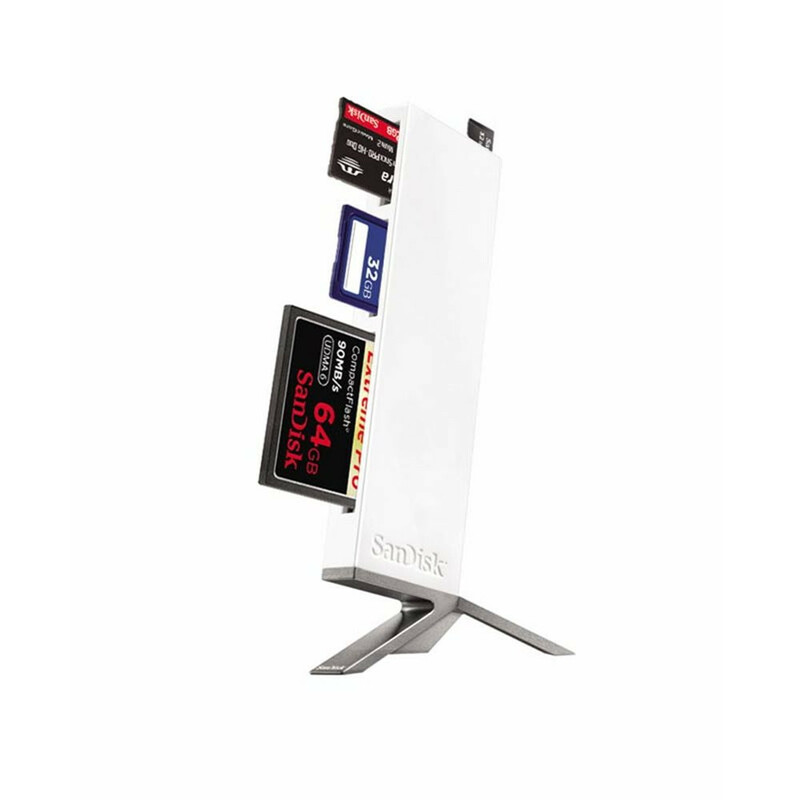 USB 3.0 ImageMate Reader by Sandisk is the ultimate card reader for your office. Whether you use SDXC or Compact Flash cards or even MicroSD cards from your GoPro or DJI Osmo, the ImageMate reader utilises the power of USB 3.0 for blazing fast transfer speeds that will improve your workflow. Using the ImageMate All-in-One USB 3.0 Reader/Writer, you can quickly transfer videos, photos, and other data from a memory card to your computer. The device supports USB 3.0 transfer speeds of up to 500 MB/s*. This is great for professional photographers, photo enthusiasts, and others who want or need to move files in a hurry. A sleek vertical design and small footprint make this device an inconspicuous addition to your computer desk. 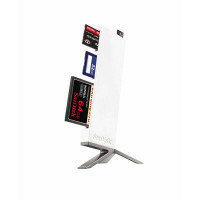 The device comes with a detachable metal stand and measures 4.68 by 0.39 by 1.61 inches (H x W x D). It weighs 3.11 pounds. The ImageMate All-in-One USB 3.0 Reader/Writer is compatible with computers running Windows XP, Windows Vista, Windows 7, or Mac OS X v10.4.10 or later. A USB 2.0 or USB 3.0 port is required for high-speed data transfers. The ImageMate All-in-One USB 3.0 Reader/Writer is backed by a two-year limited warranty. 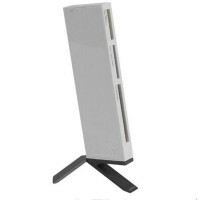 ImageMate All-in-One USB 3.0 Reader/Writer and detachable metal stand.